A lot of recruiters have noted that candidates most often come forward with poorly written resumes which doesn’t tend to impress them. If you don’t want your resume to be the reason of your elimination from an interview call, consider the following key tips for writing a killer resume. · Use wide margins and logical formats with clean typeface and clear headings. · Guide the reader’s eye by applying selectively bold and italic typeface. · Focus on what you have done in the job; not what the job was. · Include a job description of one or two line at the top, and then start counting your accomplishments. · Make judgements about the benefits of a certain task in comparison with what you actually did. · Accomplishments should be something unique that no one else has done yet. · Avoid using generic job descriptions of the jobs like you did earlier. · Put light on specific achievements to present a comprehensive image of your marketability. · Quantify your accomplishments to ensure a confidence in the hiring authority. 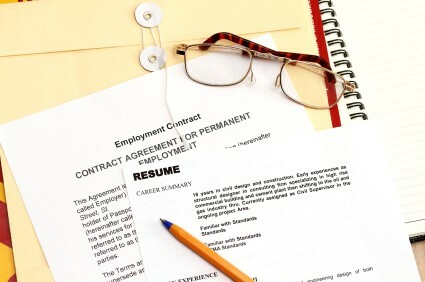 A candidate’s resume must reflect the industry he is applying for. Like, advertising and design professionals have an advantage to create their resume including some graphics. Contrarily, if an engineering may turn off with such distinctively designed resume. If you literally want to leave a profound impression on the reader, focus on making your accomplishments error-free and grammatically correct. Most of the objectives like “seeking a challenging X position to use my X, Y, Z skills for contributing to the bottom line” sound similar. Plus, they don’t tell nothing at all. On the other hand, if you create a career summary giving a brief overview of you and your work would be quite effective. You must know to grab the hiring manger’s attention right off the beginning. It means if you include an attractive career summary in your resume, it may make an immensely great impression within a few seconds. Hence, you should spend time developing a summary that immediately gets readers’ attention. · Personal business contacts. People who worked for you or you have worked for them. · Vendors and sales representative with whom you have dealt in the past years. With a strong and powerful resume in your hand, you can increase odds of earning a closer look and getting selected for that interview. Kiara Jones is an American blogger. She dedicates her writing for the motivation of students towards education. Online life experience degree is her utmost favorite qualification that empowers adult learners to resume their education.